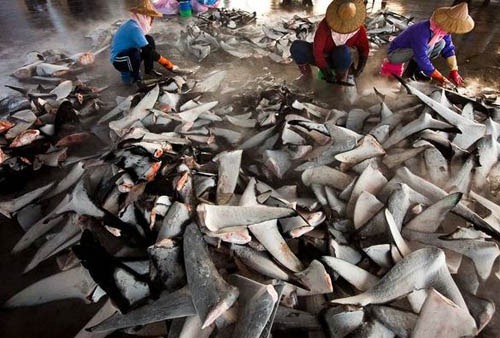 Up to 73 million sharks are caught each year for the global fin trade, which fuels a demand for shark-fin soup, according to Pew Environment Group. Fishers usually slice the animals’ fins off and throw their still-living bodies overboard. See National Geographic for the full story and more pictures and weep. Previous Previous post: Fishing Simplified? Next Next post: Noise and Trout – is it a problem?